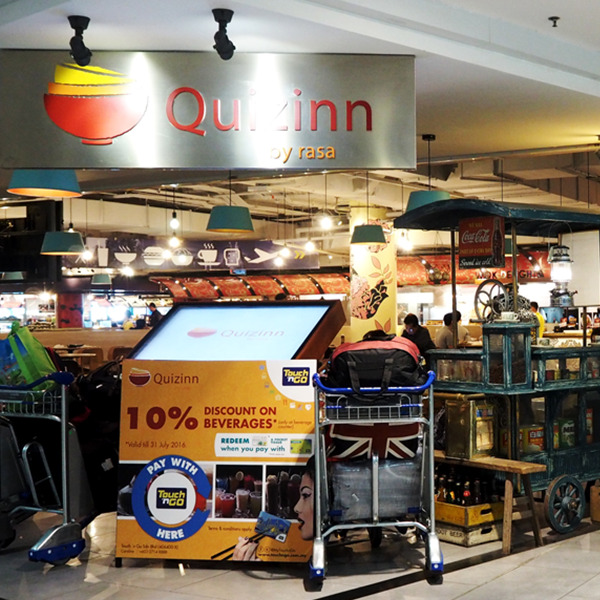 Quizinn by RASA food court is one of the leading premium food court names in Malaysia and is the only food court available at Gateway @ KLIA 2. Spread over 23,000 sq feet, we are opened for 24 hrs daily with 17 stalls, a newsstand and over 300 menus offering quality and affordable food and beverages. We are offering a good and colourful blend of local & international menus which include local favourites such as Nasi Kandar, Nasi Campur, Kopitiam, Chinese Mixed Rice as well as popular international dishes from Italy, Korea & Middle East. Come and visit us at Quizinn by RASA food court for a wholesome & enjoyable food experience.